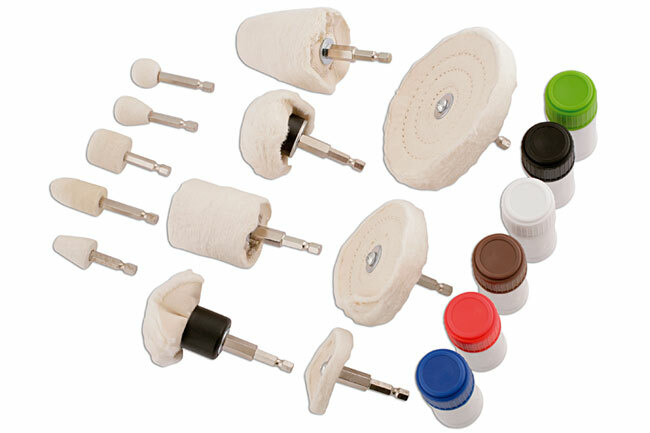 An automotive polishing kit suitable for a variety of materials including aluminium, steel, stainless steel, most plastics, brass etc. 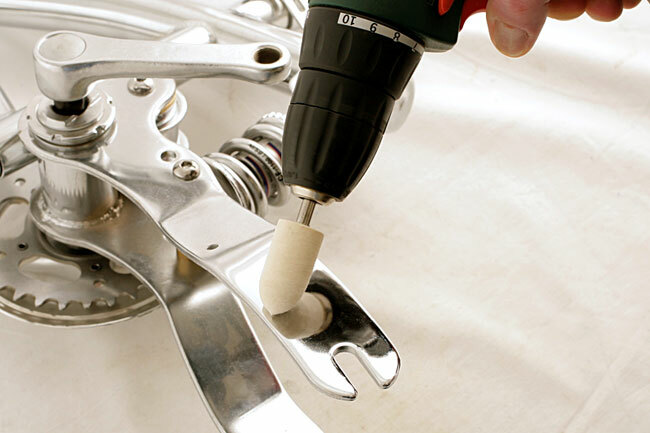 Designed for use with an electric drill. 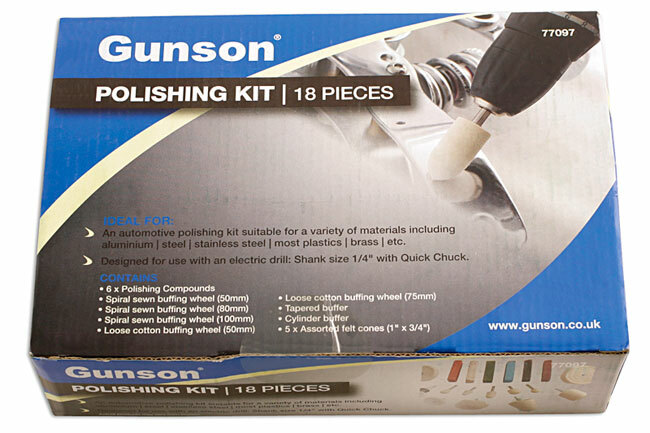 With the show ‘n’ shine season well and truly underway, Gunson have recently introduced two buffing and polishing kits suitable for a variety of metals and sure to appeal to the enthusiast car, classic car and motorcycle owner. 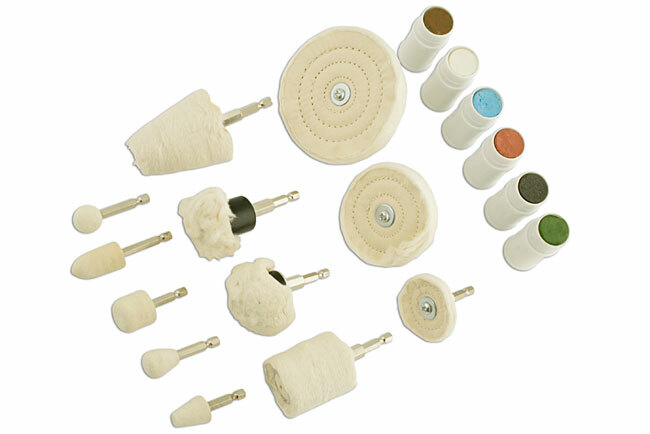 The 18 piece Polishing Kit (part no: 77097) is designed for use with an electric drill (shank size 1/4") and contains six polishing compounds that range from coarse to very fine, and a comprehensive selection of spiral sewn buffing wheels, loose cotton buffing wheels and five assorted felt cones for fine detail work. Available at a retail price of around £34.22. 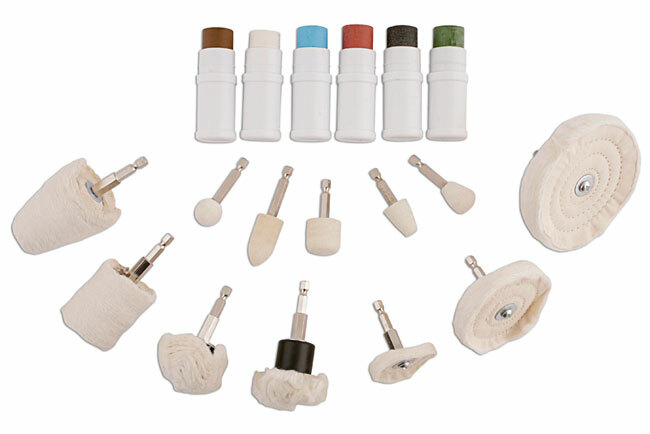 The additional Buffing Mop Kit (part no: 77098) is also designed for an electric drill and features the quick-chuck facility for fast changes. 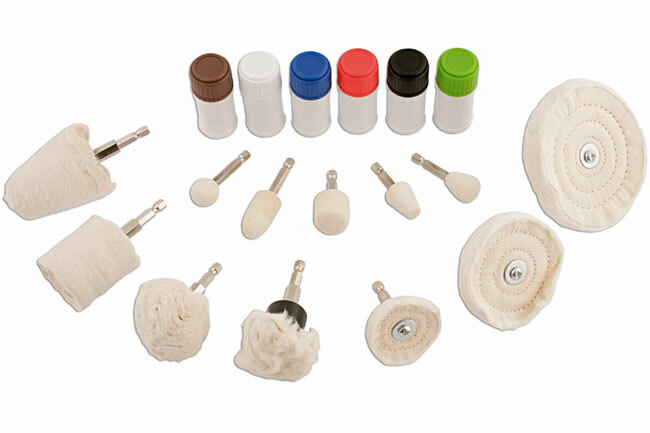 Again, a high quality and comprehensive 14 piece kit with a variety of shapes and sizes of mop. Expect to pay around £50.96. With either of these kits a professional finish can be achieved that any owner will be proud of and with the Polishing Kit 77097 comprehensive instructions and advice are included. So get polishing for summer!